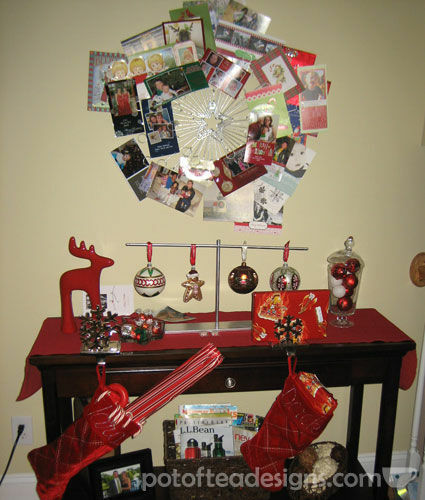 The above photo is showing our Christmas Card Wreath from 2 years ago. If you remember, I had purchased this gold colored item online and spray painted it silver to match the other items in my display. For the last few years I’ve used this wreath to collect and display all the cards from our friends and family. What I did not say is that it doesn’t really work as it is designed to. The round wire shapes at the end of the wreath are supposed to close tight to hold onto the card, but this doesn’t seem to be the case (as you can see by several cards that have fallen down onto the table in this photo). I always left scotch tape near the card to secure the cards into the design. This year I decided to think ahead and fixed my card wreath for the card receiving season! 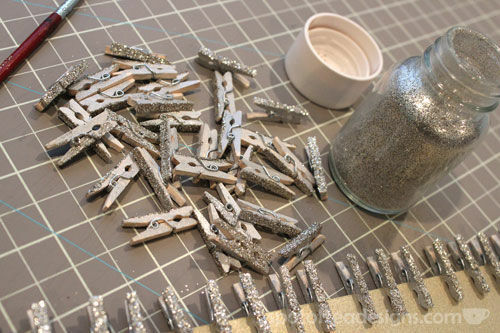 I purchased a pack of mini clothespins and went to town painting and glittering them to match my silver theme. Tip: open the mouth and attach them to a piece of cardstock so they do not get glued or painted shut. 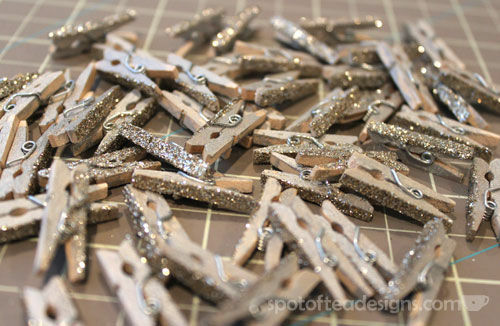 Once dry, apply a coat of decoupage glue to help prevent the glitter from falling off once displayed. 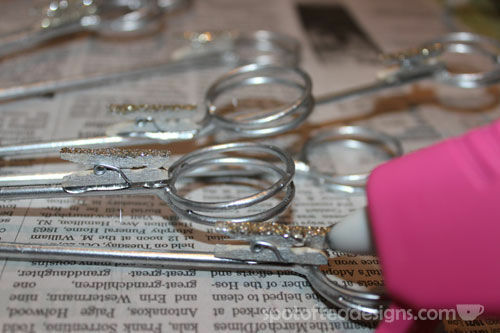 Use hot glue to secure the clothespins onto the wreath. I chose to add them just below the round rings. Some rings held cards naturally so this will give me an extra stacked layer for any rings that work to their design. 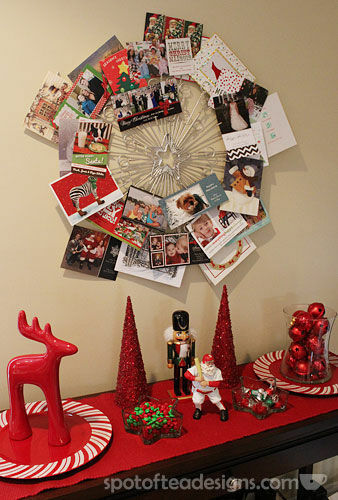 The fix worked and my wreath was ready to collect all the beautiful cards received this year. 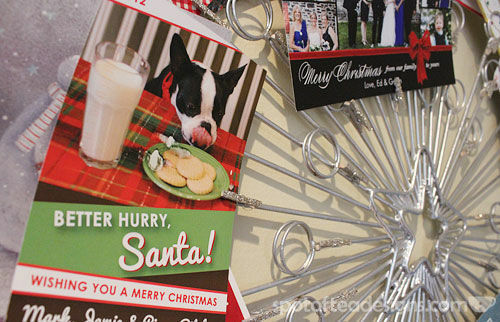 Here’s a close up of the glittered clip, which includes the lovely 2012 card from Jamie of her adorable pup, Pippa!